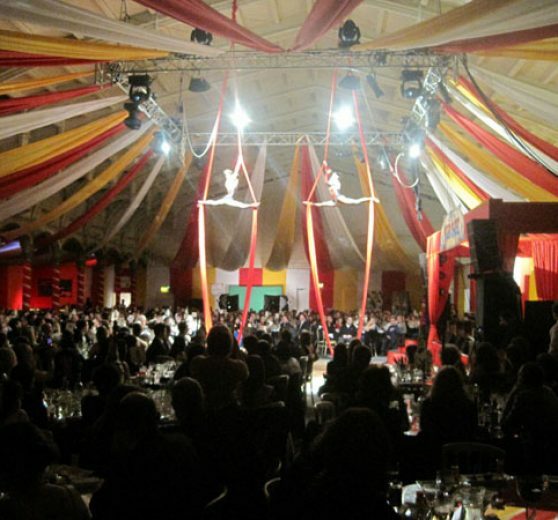 We provide entertainment for gala dinners around the globe and always get glowing feedback! You will need to feel confident that you have booked fantastic high end artists throughout the event who enhance and multiply the sense of occasion. You will want to feel secure that every detail of the arrangements are covered so there is no sense of foreboding and only positive anticipation. We have amazing acts and understand the vital importance of getting it right for you. Truan was great and your 80’s band were a smash hit. Cannot give them any higher feedback. Also working with yourself was incredibly easy and I want to thank you personally for being so easy to work with, and for all you help in the lead up to the event. I found the whole experience of working with you and your company very easy, extremely professional and helpful and smooth from start to finish. The feedback has been very positive. The magician was not only fantastic at what he does, but incredibly friendly and professional and we would have no hesitation on working with him again. Your DJ also did a fantastic job – we were lucky in the past if we managed to get ten people on the floor, but this year the dancefloor was packed right up until the end so he did a great job! The swing band were also great; helped to create a fantastic atmosphere at the start of the event and get things underway. Hal’s performance was great and the crowd really loved him. Thanks again, and hopefully we will get the opportunity to work together again in the future. Thank you so much. ICCWS was a roaring success and a large part of the delegates’ enjoyment of the evening events was certainly your acts. We never expected much dancing at the Gala Dinner so the fact that before the first chord had rung out we had Hugh Johnson leading the charge to the dance floor is testament to how good Beatlemania are! Do please pass on our sincere thanks to all acts. Feedback has been hugely positive, literally no negatives! If I gain any specific quotes from delegates on the acts I will of course pass them on and I have already been singing Joogleberry’s praises far and wide – I will keep going at all occasions!